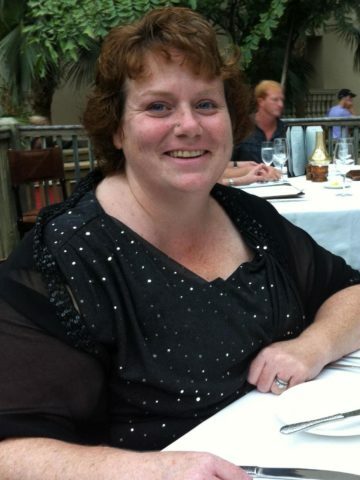 Kathleen Ridenour, age 47 of Hendersonville, TN, passed away Wednesday, August 15, 2018. She was born in Bronson, FL. Kathleen served as a teen group leader at Hendersonville Church of Nazarene. She loved meeting new people, photography, loved seeing new places, and traveling with her husband. Kathleen served the Lord in many ways through loving others and meeting the needs of others. She was passionate about connecting people to the love of Jesus. She served in the women’s ministry, youth ministry, compassionate ministries, and even helped her husband on the church security team. She lived life with great joy and love for God and others. She is survived by her husband, Patrick Ridenour. A Celebration of Life will be held Saturday, August 18, 2018 at 2:00pm at Hendersonville Church of Nazarene with Rev. Duane Harris officiating. A visitation will be held Saturday, August 18, 2018 at 1:00pm until service time at Hendersonville Church of Nazarene. I knew the Ridenours through their work at Wycliffe Associates in Orlando. Kathy worked the reception desk and was a gracious presence there for all of us who passed through that area as employees or, like me, as a snowbird volunteer each winter. She was kind, thoughtful and knowledgeable in her duties, and her sweet relationship with Pat was also obvious. While her passing came far too soon, under the circumstances it was a blessed release from a very difficult time and journey, and she is now fully restored and enjoying the companionship of the Savior and all the saints. Please accept the love and condolences of myself and my wife, Rev. Marie Allen to all those feeling the loss of this sweet lady. So sorry for your loss of the sweet presence of Kathy, may the LORD bring you great comfort and peace.David and I really enjoyed Kathy’s sweet greetings when we were in the WA Orlando office, she was also our mail delivery system when we were in India, something she did so well and we appreciated it. I loved talking to Kathy. She was always so calm and thoughtful at the front reception desk at WA. I prayed off and on for your recovery throughout your illness. The Lord gave you the ultimate blessing by taking you home. I wish you the comfort of the Lord Pat, when you carry on your journey. May God be with you all the way. We met Kathy at Wycliffe Associates and she was a ray of sunshine to all who knew her. She often spoke to us of her love of people and her Jesus. Her devotion to her Savior was evident in all her words and deeds. We always loved discussing theological matters with her. Her warm personality and vibrant smile made anyone around her feel important. She loved life, people, her work and best of all her Lord and Savior. She will be missed. We rejoice that she is no longer entrapped in the physical body that caused her such pain but has been released to the beauty of Heaven. Even though we rejoice, we also weep for this loss of her presence. How glorious will be our reunion one day. Kathleen was a great student at Trevecca in the health care administration program. She always took much pride in submitting quality work and meeting deadlines. Please know that her Trevecca family is sadden to learn of her passing; however we find comfort in knowing that she is rejoicing in heaven with our Lord. Praying for you all during this time. Blessings! The first year we returned to Wycliffe Associates in Orlando and Kathy was not at the front desk, we felt a loss. She was always so friendly and helpful. We remember well our times of socializing with her and Pat. Our thoughts and prayers are with you Pat. She always talked of you as a wonderful husband. She is greatly missed. Kathy had a wonderful spirit to serve and help others. And fun to be around! thankful she is in the presence of our Lord. Our sincere sympathy is with Patrick. Our hearts grieve with you and for your loss, Pat. What a wonderful servant of the Lord as she faithfully did her duties at the WA desk and made us all feel welcome and special every time we came through the doors. Kathy’s hugs were warm and caring and she had a lovely smile that we will never forget! May God comfort each family member with the certainty that she is with her Lord and Saviour and released from her suffering. Our thoughts and prayers for God’s comfort and encouragement are with you. I am saddened by Kathy’s passing but I am assured that she is with Jesus. I send out a text of a Bible verse or inspirational quote to my family every morning and Kathy asked to be a part of my family and receive them. She would often respond to one that particularly “spoke” to her. I will miss her greatly and did consider her a member of my “family of God”. My prayers are with you, Pat. Our hearts are heavy over the loss you have suffered. Our loving Creator wants to comfort you with his promise that, “God..will wipe out every tear from their eyes, and death will be no more, neither will mourning nor outcry nor pain be anymore. The former things have passed away.” (Revelation 21:3,4) May this promise bring you comfort and hope.